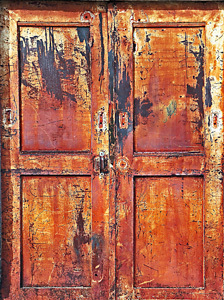 March 27, 2012 /Photography News/ A door can simply be a way of leaving one room and entering another room. Some can be rather simple and plain while others can be grand and ornate. A door or doorway can lead us to an unknown destination full of surprises and mystery, or it can lead us to home and security. Doors can be obstacles that prevent us from seeing what is happening and they can hide all types of secrets. Profotio is seeking creative images that best represent what may be seen on either side of doors and what happens in their passageways. So how do you enter this contest? Look on their website, there's a "submit your photo" link. Note there is a fee to enter. there is a fee to enter? I just looked, and there are entry fee's depending on how many pic's you enter. However, the fees are reasonable, starting at $15.00 for 4 pictures. I have seen contests charge that much for one picture entry. They can do a lot of things with the photograph we submit (check the rules)without compensation. I am still wondering if I should participate or not. All photographers retain copyrights of their images. Sometimes they will display your image in their newsletters and on their site to announce their contests.They always list the photographers name and give him or her full recognition. It actually is a great way to get your work noticed by a lot people and get your name out there for free!